Hello and welcome to 11th Giveaway here on TechnoGiants. This time we have partnered up with Tokokoo – a company that builds premium WordPress eCommerce Themes and WooCommerce Themes. They are giving away 3 standard club memberships valid for a Year on the Giveaway. Tokokoo is the perfect spot to go every time you need to build an online version of your business. Specialized in developing eCommerce and small business themes, Tokokoo has known its way to help you build a good looking and professional website. You can find various high quality WordPress-based themes for online store, corporate or freelancer website on Tokokoo. Each theme come with beautiful design, advanced features and easily customizable. TeeShirt is a clean and simple theme with large photo slider to put your featured products in your customer’s first glance. 3 homepage banners are available to publicize your shop deals, latest trend and your upcoming event, or direct your customers to certain pages or blog posts. 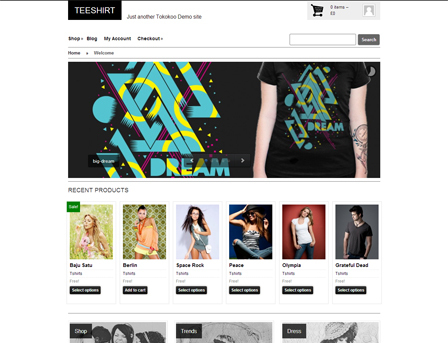 Sell your own-designed tees, handmade crafts or other fashion stuffs with our TeeShirt WooCommerce Theme. 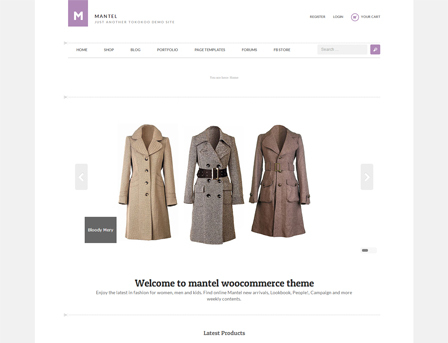 Featuring Mantel, a stunning theme designed with abundance of white space for your apparel/clothing store and business. It comes with a big image slider with handful effects on the homepage, large product image on the product page, and several layout options to display your products in the Shop area. Mantel is designed to be flexible. Use it to run your online store or tweak it to be your business website’s professional look, it’s only one click away. Sabak is a dynamic and crisp WooCommerce theme designed with awesome multipurpose features. With 3 mode options available, you could choose Shop to run an eCommerce site, Portfolio to build a portfolio site, or Catalog to display your work samples without using eCommerce plugin. 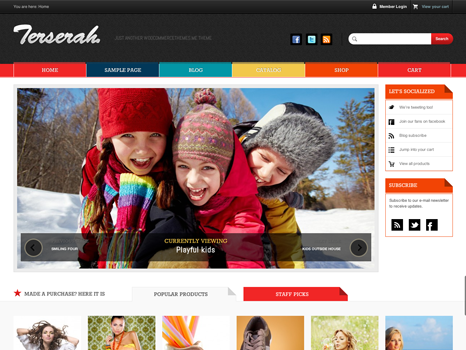 Terserah is a colorful theme specifically designed to bring mall-shopping experience for your online store customers – without leaving their desk. What makes people tend to shop more in malls? It’s the shiny colorful outlet display. With WooCommerce robust support, your online store will stand out among others. 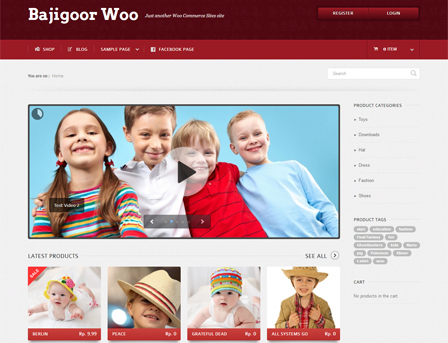 BajiGoor is specially built for your online Kids Apparel store with warm and cheerful color as if entering a baby and kids shop. Designed with appealing features like Facebook integration and large homepage slider, convert every website visitors into customers since their first stop on your site. I would like to say my big THANKS to LINDA from Tokokoo Company, who provided me an opportunity to Giveaway 3 x 1 Year Standard Club Memberships. That’s right! 3 lucky readers are really going to Win big! 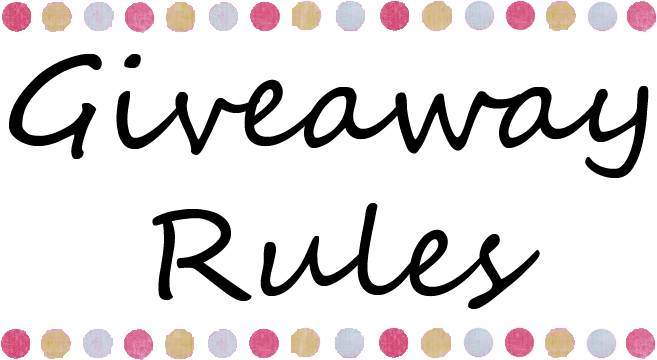 You can win 3 x 1 Year Standard Club Memberships of Tokokoo by entering the giveaway and you need to follow the below rules to participate in this giveaway. Though they are giving away their special package to our winners but they have also some other plans for regular users. You can check them at here and use this Coupon Code (TOKOKOO2013) to get 20% discount directly. Keep sharing and increase your chance to win them. Best of luck. Thank you and Cheers for the Giveaway. Amazing Giveaway ! Fabulous Templates ! Please count me in this time ! The tokokoo themes are beautiful and mobile ready. Well these templates are very good. These will be a nice competition for other top template company’s.